#SunLifePerfectMatch: The Perfect Online Tool in Finding the Right Financial Advisor! 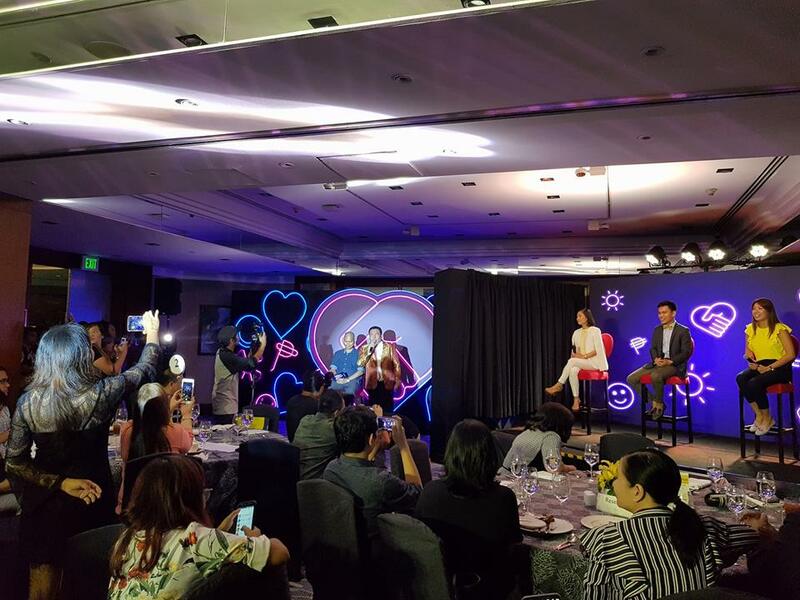 Sun Life Financial Philippines’ Study of Lifestyle and Relationships (SOLAR) reveals that only 38% of Filipinos are willing to take investment risks in order to earn more and that only 8% actually invest. Also, only 16% claim to have life insurance despite 88% of Filipinos worrying about their financial situation in case something happens to the breadwinner. It is evident that many Filipinos still need guidance and advice on how to achieve lifetime financial security. Most Filipinos, don't do thorough research before choosing the right insurance company and the right financial advisor, do-it-yourself financial planning is OK as long as you know what you are doing. Though there are many information you can read online like advices on personal finance, many still lack an investing mindset. This means looking beyond traditional savings instruments to achieve future goals. A role that a Sun Life Financial Advisor can fulfill with their professionalism, a caring attitude, a winning mindset, and an inspired vision. 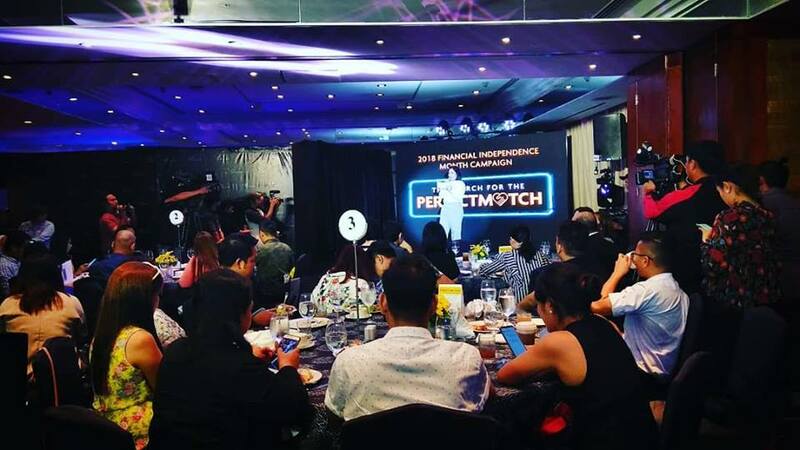 As we celebrate the Financial Independence Month of June, Sun Life Financial Philippines puts the spotlight on the value of meeting a trusted financial partner via their #SunLifePerfectMatch campaign. Here, the country’s first and #1 life insurer aims to educate Filipinos on choosing the right Financial Advisor to help them with your financial goals. And with the Advisor Match tool, your perfect Sun Life advisor may just be a click away. How to use this online tool? 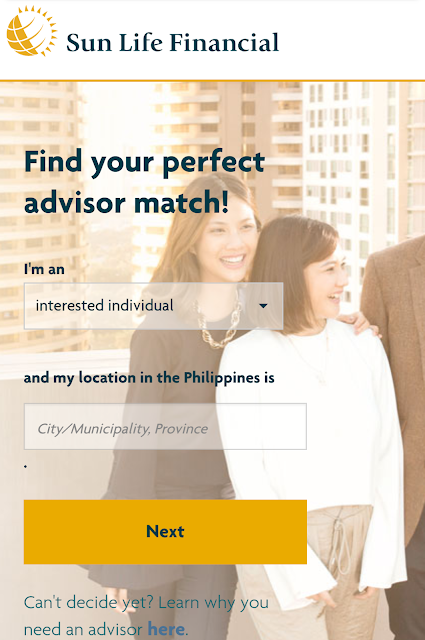 Simply go to advisormatch.sunlife.com.ph to access Advisor Match. Enter your location to generate a list of advisors in your vicinity. Each profile contains a short description of their credentials and how they can extend help – a very nifty way to show you what they have to offer. Such freedom to choose a Financial Advisor is both innovative and relevant, especially for consumers who want personalized service on-demand and at their convenience. Sun Life Philippines' Advisor Match is about empowering Filipinos to be more exacting and selective when looking for a financial partner. A series of online videos called “My Dream Advisor” puts a humorous twist on the challenging journey that comes with seeking one’s perfect advisor match. Taking a cue from the 90s dating game shows, the videos feature searchers faced with a rather disappointing line-up of advisor searchees – each embodying undesirable characteristics that have unfairly stereotyped life insurance agents for the longest time. Sun Life emphasizes 4 core values that every financial advisor should possess: (1) professional in doing business; (2) one who cares for your welfare; (3) a desire to win for your dreams; and (4) an inspiring commitment to serve rather than sell. These values define Sun Life’s over 11,000 financial advisors. Makeyour brighter choice! Go to advisormatch.sunlife.com.ph to experience the Advisor Match tool and learn more about finding the right partner in your financial journey.